MTCC: Transition did not order to stop airport development. Contractor of the airport being developed at Haa Alifu Maafinolhu, Maldives Transport and Construction Company (MTCC), has said that the Transition Committee has not ordered to stop the airport development. MTCC made the remarks after the MP for Hoarafushi constituency, Mohamed Ismail alleged that the Transition Committee has ordered to stop the airport development in Maafinolhu. Managing Director of Project Management at MTCC, Mohamed Husham, told Sun Media that the allegations that say the Transition Committee met with MTCC and advised to stop the airport development are false. He said that after consulting with the Regional Airports, the development has been put on hold due to rain. And the work will resume when the weather clears. 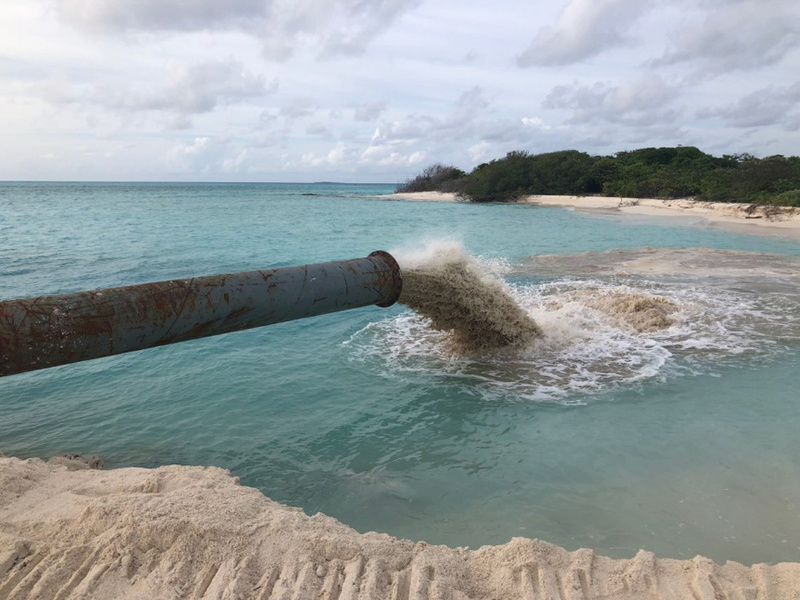 The airport in Maafinolhu is being developed on 16 hectares of land reclaimed via dredging with a standard 1.2 kilometer runway similar to every other airport in the country.